Getting a job is a job in itself, but for many applicants, all their efforts do not add up. Whether you are using a Milwaukee recruiting firm or striking out on your own, there are things you must do to get yourself noticed in the job market. The Lawler Group emphasizes that your resume is key to making this happen. As prominent Silicon Valley talent manager Dr. John Sullivan recently pointed out, many job applicants make the mistake of applying for jobs with poor knowledge of the realities of modern hiring practices. He presents some staggering numbers that show why a well-qualified applicant can get lost in the process. Competition is stiff. Candidates assume this from experience, but the hard numbers dramatically illustrate how fierce the competition is. Job sites such as Monster.com receive over 400,000 resumes each week, while an average corporate job posting receives over 250 applications – the first one within 200 seconds (5 minutes) after a position goes online. These numbers might encourage you to jump on a posting that interest you immediately, but what makes it through to the person who has the power to hire you is not your initial speed. Only a few candidates survive the hiring funnel. Recruiters understand that they need to review numerous applications to make a successful hire. If 1,000 people see a job posting, 200 will start to apply, 100 will complete the application, 75 will be screened by a recruiter, 25 will get to the hiring manager, 4-6 will be invited for an interview, 1 to 3 will be invited back to the final interview, and one will be offered the job. As a candidate, your goal is to make it through the hiring funnel. The more applicants there are for a specific job, the less likely an individual applicant is to make it through the process. Recruiters scan quickly. While recruiters claim they may spend five minutes scanning an individual resume, research conducted by the prominent search firm, TheLadders, indicates that the true number is more like six seconds. In six seconds, a recruiter will only pick up a few key points, which makes it important for you to have the specific things they look for very obvious. These tend to be job title, former employers, start and end dates, and education. Cover letters are ignored by 83% of recruiters. 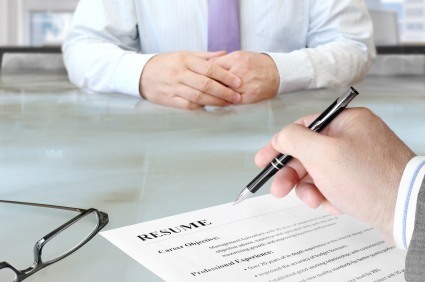 Resume deficiencies can kill you at the next step. Larger companies may use scanning software that rejects some resumes because they are not scannable or because they do not appear to meet the criteria based on keywords that the software is searching for. Resumes submitted as PDF files are often discarded, while general resumes may not include the specific words that software or a human scanner is looking for. 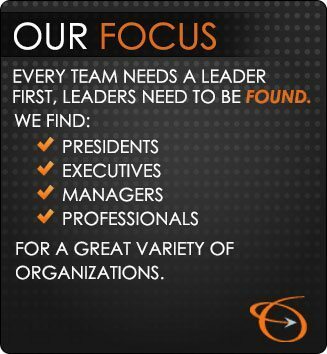 Poorly organized resumes also do not make the cut. Documents with typos are cast aside by humans who look at them in greater detail. Use a standard template, such as what you might find in Microsoft Word templates or suggested on job sites. The suggested format and organization make a resume more likely to make it through the first scan. Personalize the resume to the job opening and use keywords that show up in the job posting. Follow instructions in the job ad for submitting your resume. Some companies want you to include your credentials in the body of an email, while others want an attachment. Avoid PDF or other non-scannable formats, unless you are instructed to submit this way. Make sure your resume and cover letter are error free. Milwaukee recruiting firms are always on the lookout for good candidates that they can work with and promote to their clients. By providing them with tools they can work with, you increase your chances of having face time with the recruiter and ultimately with the hiring manager. Having a good resume will not guarantee you a job, but it will at least increase your chances of getting noticed. Check the Lawler Group website for resume tips. Whether you need a Milwaukee recruiting firm to do a new job search for yourself or to find a candidate for your company, contact us today.